Role play is a great way to get students talking through the key issues relating to a topic, especially if they can take rival viewpoints. In order to get students more engaged with this, I often use group work role cards or get them to make masks. Another technique is to get students to design a sock puppet for their character as well as working with the other people in the team to construct a dialogue. Then, film the results. In this way, students are able to refer to their script as they ‘perform’ without feeling that they are spoiling the effect. It’s also particularly effective at overcoming the natural shyness of some students in front of the camera. 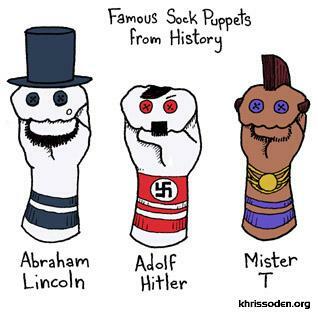 The sock puppet format can also be developed using the ‘Sock Puppet’ app for Ipad. This idea was suggested to me by Tom Browning at an IBDP History training workshop I attended in Oxford in May 2015.